Barbro Andersen: Never let anyone dull your sparkle! Everyday sparkle is underestimated! I have/had a habit of saving particular items for special occasions only, and I bet I'm not the only one doing it. Why not make today that special occasion - by wearing your unique items? I, for instance, love this particular juxtaposition. 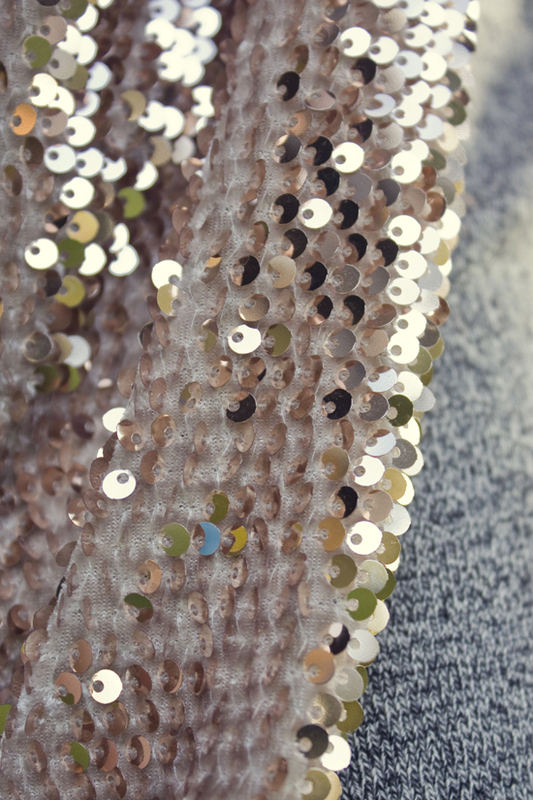 And old, washed out Levis t-shirt and a sweat-pants type skirt combined with my new sequin jacket. It's unexpected and fun! It doesn't have to be complicated. A little bit of sparkle never hurt anyone! true! =) I did it, too and then decided not to do it, anymore. Now my everyday is special, and with whatever clothes I want to wear. Your outfit is gorgeous, I like it very much, especially the skirt!! That jacket is simply perfect. I completely agree with you, I for once like wearing lace dresses on a Monday to take my kid to school, I may be frowned upon or stared at with eschew eyes, but still I go and do it. Thank you, Heidi! Comfortable and sparkly, just the way I like it! I love everything about this outfit, especially the cardigan! The two very different fabrics of the fashion items by Gina Tricot look wonderful paired together. I also love your facial expressions in these photos in addition to the sparkle of your sequin jacket and choice of outfit pieces. 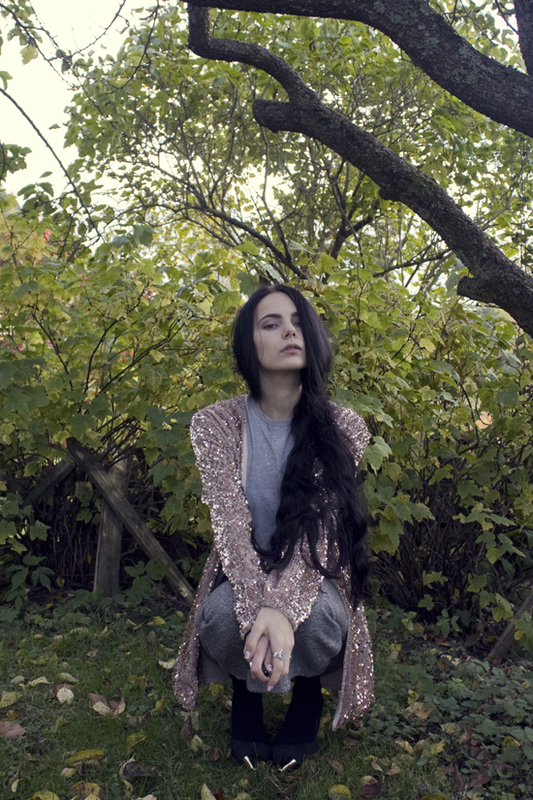 I just discovered your blog looking for fashion bloggers in Norway, it's not easy! hahaha love your blog so I'm following you on bloglovin, please let me know if you know other cool norwegian fashion blogs I could follow. Hi Sara! Glad you like my blog! You should check out Sara Strand and A portable package - two of the best fashion blogs in Norway in my opinion! Marie Ullevoldsæter, Hippie Hippie Milkshake and Style Devil are really great too! Thank you, sweet Nádia! I absolutely adore this cardi-jacket! It will enhance any outfit!